for the help and support of all people with Down’s Syndrome and their families and friends. We offer help, support and advice for parents and carers. If you are ready to talk to another parent in your area please contact us and we’ll do what we can to help. We have a range of events on across the region. Events are open to all members -but please let us know beforehand if you’re coming! Down’s Syndrome North East is the leading organisation for the help and support of all people with Down’s Syndrome and their families and friends. We cover Northumberland, Tyneside, Wearside, Durham and Teesside. We are a registered charity run entirely by volunteers. Click here to download membership details and an application form. Down’s Syndrome North East is the leading organisation for the help and support of all people with Down’s Syndrome and their families and friends. We offer help, support and advice for parents and carers. If you are ready to talk to another parent in your area please contact us and we’ll do what we can to help. Please follow our Facebook and Twitter feeds to find out more about what we’re doing, and to keep in touch with our parents across the region. Contact Us today if you would like to know more about DSNE and the work we do to support families and children in the area. Down's Syndrome North East is the leading organisation for the help and support of all people with Down's Syndrome and their families and friends. We cover Northumberland, Tyneside, Wearside, Durham and Teesside. We are a registered charity run entirely by volunteers. 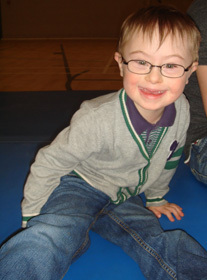 Down's Syndrome North East - Registered Charity no. 1096003. Copyright © 2019 - Down's Syndrome North East - Registered Charity no. 1096003.